The Real War- Part 1- Charles Stanley- A MUST LISTEN TOO! My mom called me and told me to listen to this sermon by Charles Stanley in his audio archives. It is a must listen too! Don’t allow yourself to be distracted from God’s word! This is a great sermon! A Must Listen to Podcast on Anger by Donna Otto! Earlier I posted a link to Charle’s Stanley’s sermon on,”Opportunities,” well, there are actually four parts! You can watch all four parts on his site under video archives. The 4th part is, “Turning Our Crisis Into an Opportunity.” He discusses Joseph and the crisis he endured and how he used it for his future. The site also lists 15 ways to turn your crisis into an opportunity and to make the transition an easier one. Listen to all 4 parts and transform how you view hardships when they appear in your life. 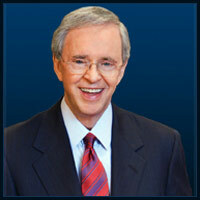 Charles Stanley Video on Training Our Children- Don’t Miss It! I love listening to Charles Stanley! This video on Training Our Chidren is a sermon that all parents could benefit from. It is especially timely with Mother’s Day being tomorrow. He talks about training our children so they don’t depart from the basic truths of God’s word and gives 11 steps to guide you. Write them down, memorize them and act upon them! Give yourself a Mother’s Day treat and listen to this sermon. Make sure you explore the In Touch site it is chock full of video and audio archives, sermon notes, and much more. I urge you to order the monthly In Touch Magazine it’s FREE! You’ll love the articles and daily devotionals inside.